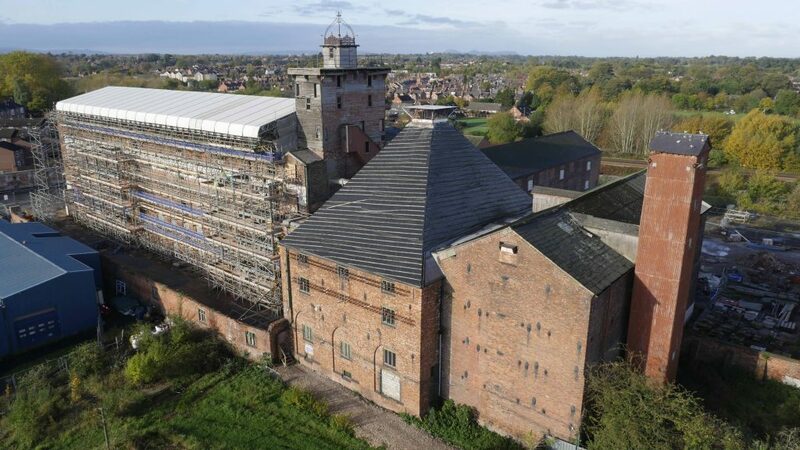 On Tuesday 25th September, the restoration of the roof has been completed on the 1797 Grade I listed Main Mill at Shrewsbury Flaxmill Maltings, marking a key moment in the restoration of this unique group of buildings. The Main Mill is one of the most extraordinary buildings in the world as it was the first anywhere to have an iron frame and its British design gave birth to the modern skyscraper. During the Industrial Revolution, the new spinning mill quickly became Shrewsbury’s largest employer with more than 800 men, women and children working there manufacturing linen thread from flax. After it closed in 1886 it reopened to produce malt for the brewing industry. Part of the building served as a barracks for soldiers during the Second World War and finally closed as a maltings in 1987. Shrewsbury Flaxmill Maltings, Spring Gardens, Ditherington, Shrewsbury, Shropshire. The roof of the Spinning Mill, viewed from the north. The buildings haven’t been used since and fell into decline and were damaged by vandalism. In 2005 Historic England (then English Heritage) stepped in to stabilise them and carry out urgent repairs. 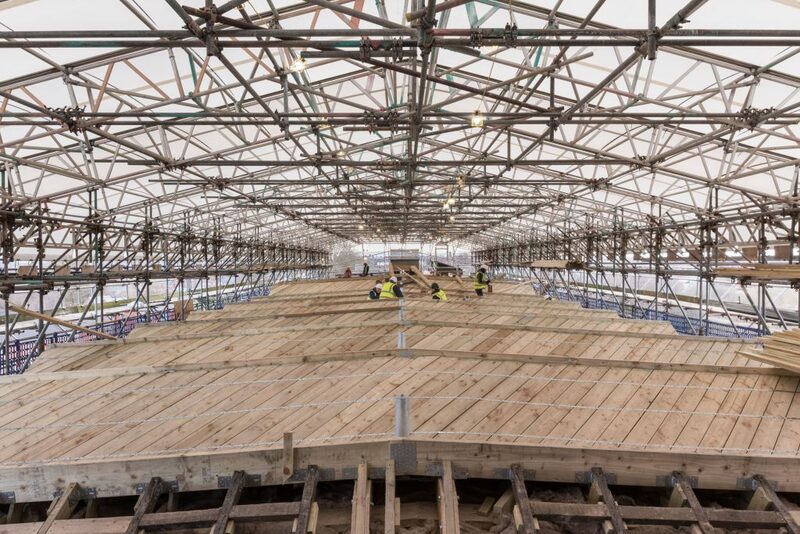 The first milestone in the restoration was in 2015 when, with investment from Historic England and the European Regional Development Fund, the Grade II listed office and stables were converted into a small exhibition and visitor centre. 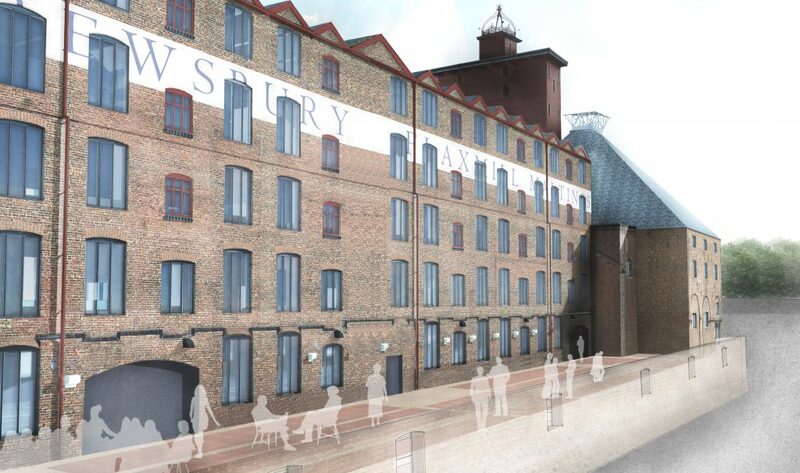 Now a £20.7m grant from National Lottery players through the Heritage Lottery Fund combined with funding from Historic England, Shropshire Council and the Friends of the Flaxmill Maltings, is enabling the restoration of the Grade I listed Main Mill and the Grade II Kiln, creating a new learning and enterprise quarter for Shrewsbury. The work is currently scheduled to be completed in 2021. Historic England is running a fundraising campaign to secure the remainder of the funds needed. 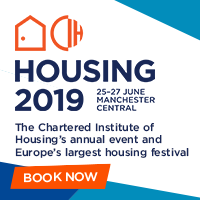 The revitalised site, with high quality commercial space for the region’s growing creative industries, will help drive the town’s renaissance as a regional economic hub, as it was when Shropshire led the way in the Industrial Revolution, the Silicon Valley of its age. 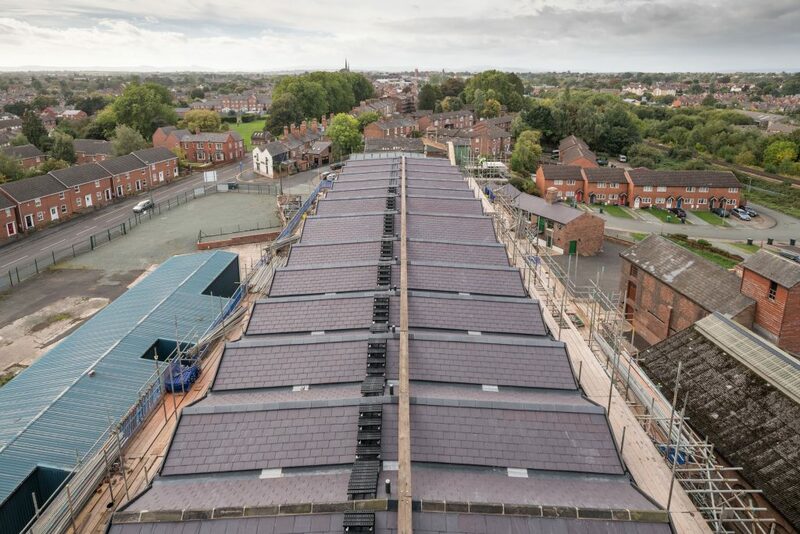 Around 15,000 new Welsh slates have been used on the roof. They came from Penrhyn Quarry the only remaining source of original North Wales slate, which the Main Mill would have had when it was first constructed. The roof has an unusual design – a saw-tooth profile with 17 valley gutters between the slate roof slopes. When the roof covering was stripped, it was discovered that the original cast iron valley gutters of 1797 still survived. Each section was 4 metres long, of thick cast iron and very heavy, needing four men to lift it. 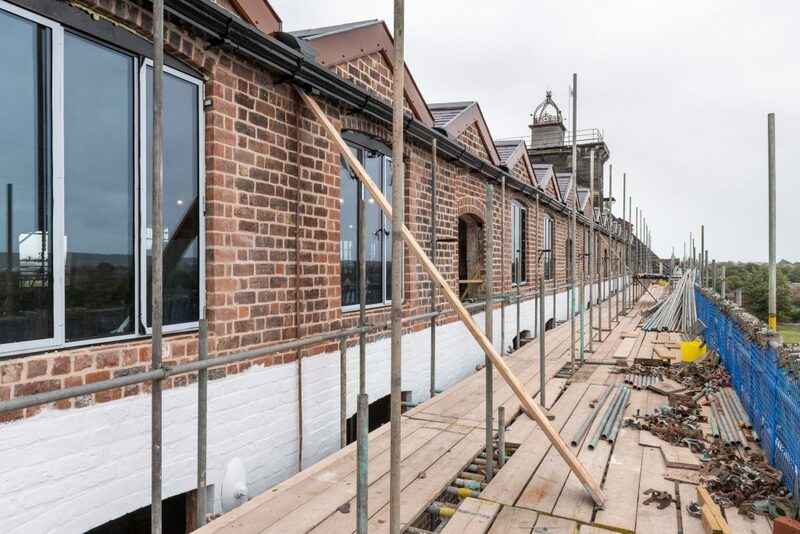 To repair the roof, five new sections of cast iron gutters to match the original have been specially made at the Barr & Grosvenor Foundry in Wolverhampton. 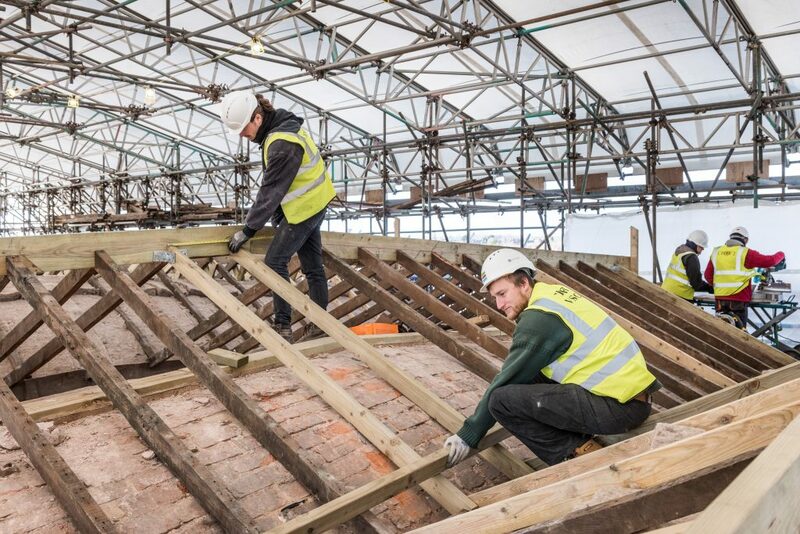 Prince’s Foundation placements Tom Mott and Sam Rowland-Simms working on the roof with Croft Building & Conservation Ltd.
Northcot Brick, specialist traditional brick manufacturers, has been making by hand 30,000 of the special sized bricks needed to restore the Main Mill. They are approximately one third larger than standard-sized bricks as they were used for construction during a period when the number of bricks used in new buildings was taxed to raise funds for wars in the American Colonies, and using larger bricks reduced the amount of bricks required, and consequently the amount of tax. Spinning Mill, exterior view of the fifth floor with new metal framed windows installed. View from the south east. 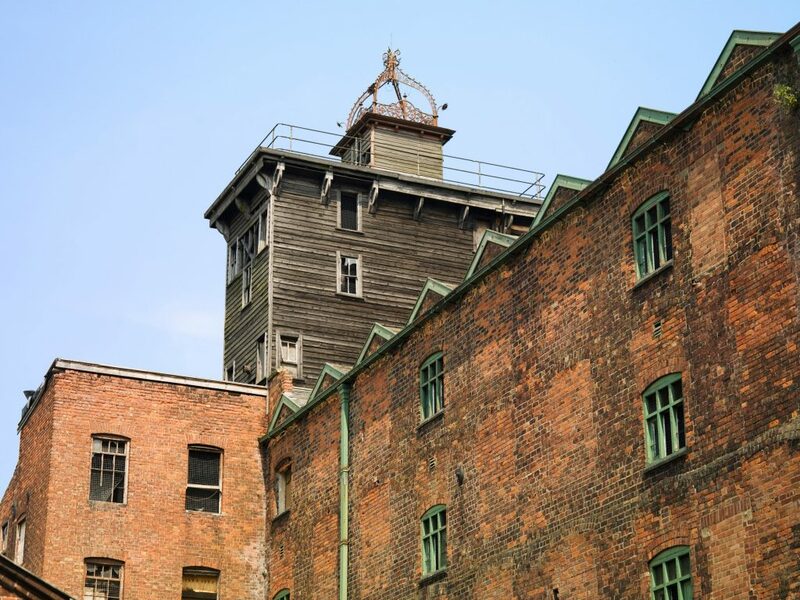 The restoration is a partnership between Historic England, Shropshire Council and the Friends of the Flaxmill Maltings. Professional teams on site are being led by architects Feilden Clegg Bradley Studios. Heritage work placements have also had the opportunity to work on restoring the building. 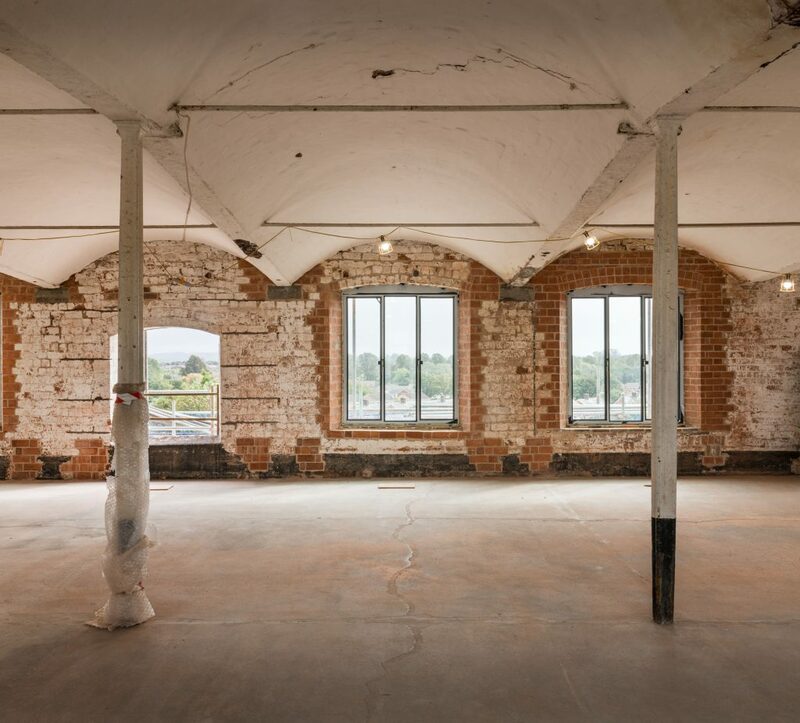 Spinning Mill, interior view of the fifth floor with scaffolding removed and metal framed windows installed. View from the west. 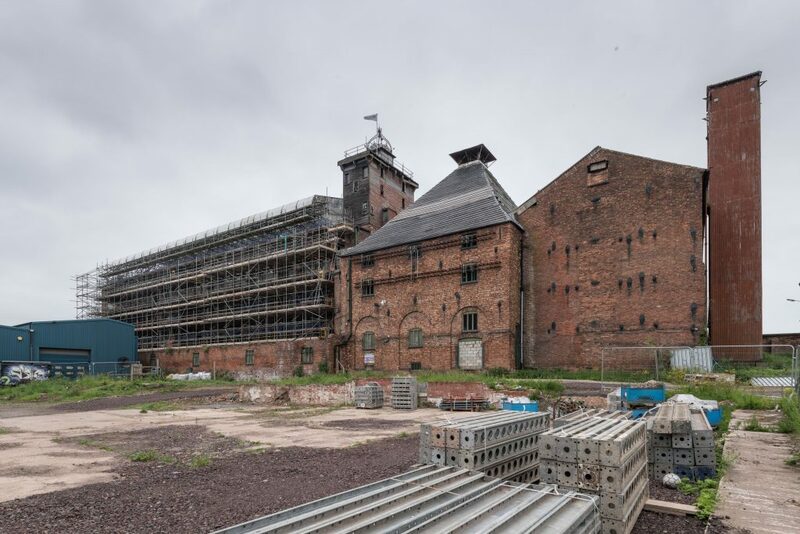 Duncan Wilson, Chief Executive of Historic England, said: “This moment, seeing the scaffolding coming down after a decade, and the original roof completely restored, is a significant milestone in the project to restore Shrewsbury Flaxmill Maltings. The sensitively renovated building will create a much-needed hub for the area – of industry, learning and creativity. 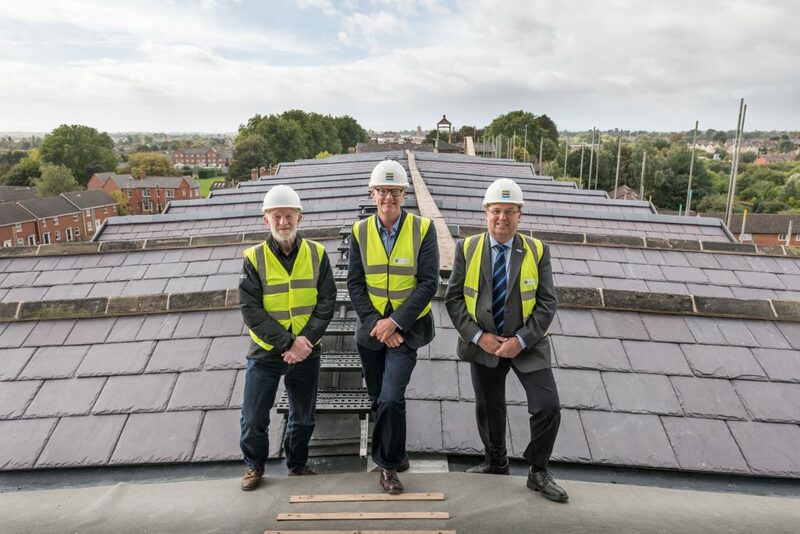 Alan Mosley, Chair of the Friends of the Flaxmill Maltings commented: “It’s fantastic to see the new roof in place and that it has been restored by Croft so sympathetically, using Welsh slate as it would have had when it was first built. The roof of the Spinning Mill, viewed from the north. From left to right, Alan Mosley (The Friends of Flaxmill Maltings, Chairman), Alastair Godfrey (Shrewsbury Flaxmill Maltings Project Lead), Nic Laurens (Shropshire Council, Portfolio Holder for Economic Growth). 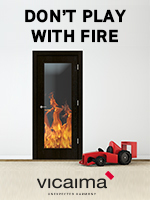 This entry was posted in Projects, Restoration, Roofing & Cladding by Laura. Bookmark the permalink.